One of our daughters is a fruit freak! She hasn’t met a fruit she doesn’t like. I think part of the reason she loves fresh fruit is that she knows fruit is safe for someone like her with a peanut and tree nut allergy. 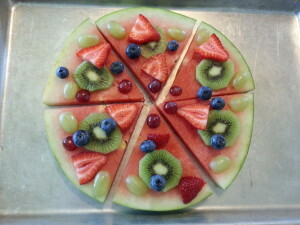 That’s why when we saw an idea online for a fresh fruit pizza we knew it would be the perfect snack for her birthday party. It was a BIG hit! The crowd of eight 4th grade girls was more excited for the fruit pizza than the cake. It was really easy to make. Cut a half inch section out of the center of a seedless watermelon. Cut it into slices like you would a regular pizza. 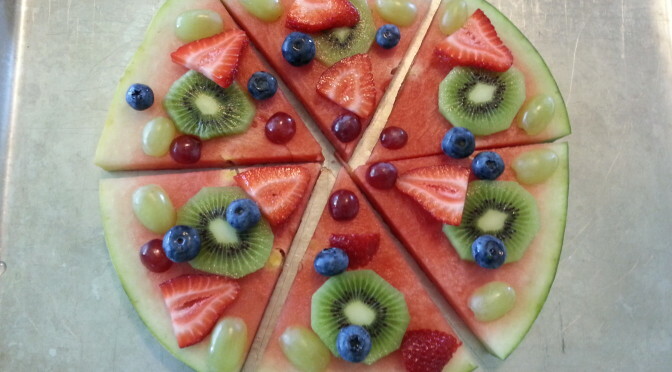 Top it with cut fresh fruit and serve it up! It’s simple. It’s easy. It’s delicious… and it’s also proof that eating healthy doesn’t have to be boring! Do you have any creative fruit ideas? My daughter would love to hear them. Breakfast is a big hit around our house. Many times we have it for the evening meal. Is that called brupper or brinner? Still trying to figure that out. Anyway…. Last night we had breakfast burritos so I thought I’d share a recipe for making and freezing them. Crack eggs into bowl and add milk. Whisk until mixed. Add your favorite scrambled egg spices. (I prefer a little Lawry’s Seasoned Salt and a couple dashes of Worcestershire Sauce) Cook the egg mixture in a pan until completely scrambled. 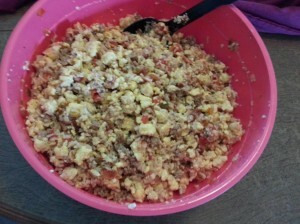 Add scrambled eggs, rice , Rotel and breakfast meat in a large bowl and mix. Warm the tortillas slightly (a couple seconds in the microwave helps make them more pliable). Next add a scoop of the completed filling to the tortilla and sprinkle with cheese. 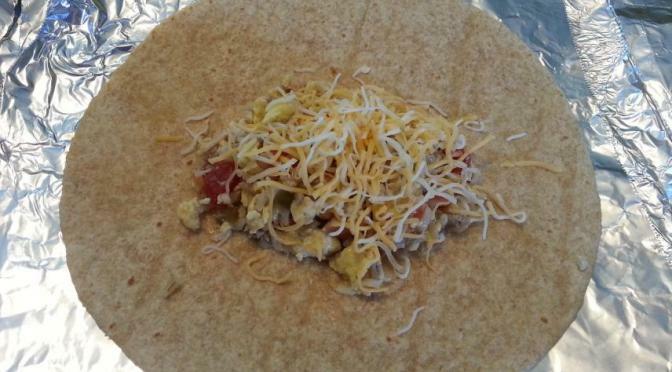 Depending on the size of the tortilla and how full you fill them you should get 20-24 burritos. 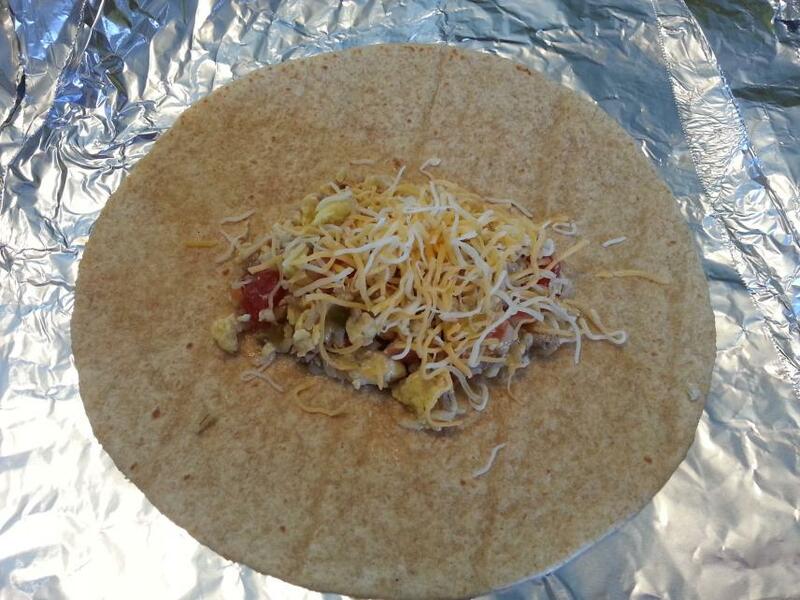 Place all the burritos in freezer safe bags and put in the freezer. 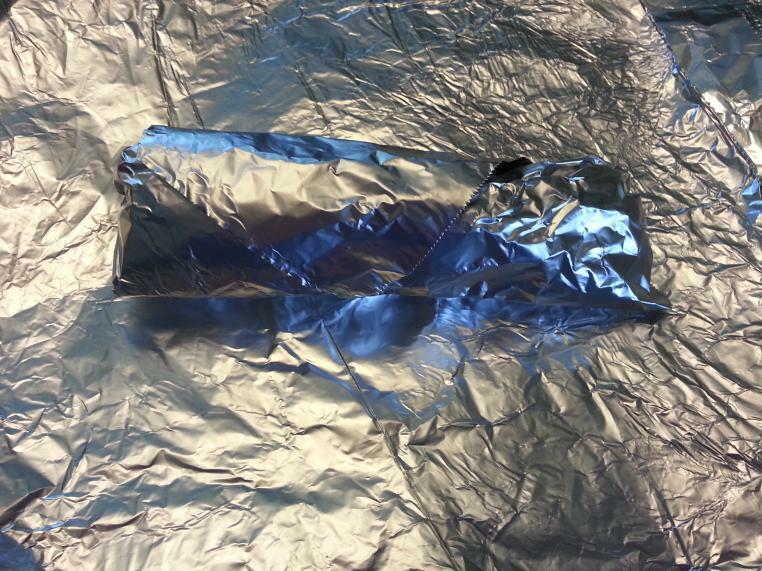 When you want a burrito take it from your freezer, remove the aluminum foil, and microwave. In our microwave 2 minutes at 50% power is perfect. Then re-wrap it in the foil and you’re ready to take and eat it wherever you want. A cup of coffee, one of these and a piece of fruit will keep you full until lunchtime!